I am getting pissed with the thought of the on and off moving to the house that we purchased in Mississauga. I have so many plans for my business that I can not start working on, because I need a bigger space. I am planning to buy a Locker where I will put some of my products safely. 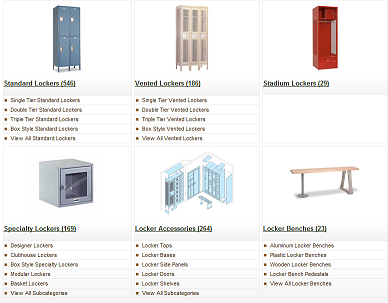 MoreLockers.com provide lockers, locker benches and different locker accessories. I have been searching for companies who offer lockers and I found out that MoreLockers.com provide the lowest prices. They constantly search the internet to make sure that they offer the lowest prices for Lockers. They have the largest selection of Lockers for sale on the market since they carry all the top manufacturers of lockers, as well as the latest styles and colors. Their customer service team are always ready to assist you in buying the best lockers that will suit your needs. They are extremely knowledgeable about the products and they can assist you with everything from pricing large jobs, to installation. So I think I found the right place to buy a Locker for my products. I was busy processing some orders so I just stayed at home the whole day yesterday. The orders my hubby shipped yesterday are great gifts for my birthday. Here is the photo of the orders that my hubby shipped yesterday. 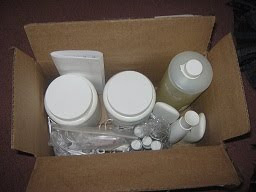 It's one big order from one of my customers, and 2 Mineral Makeup samples from 2 new customers. And when I open my email few minutes ago, I have another one big order to make from one of my customers. It's 22 items but it's mostly eyeshadows, so the packaging will not be bulky. I feel so frustrated that I wasn't able to do anything during my short vacation leave because of my terrible lower back pain. I planned to clean the wholehouse, create new colors for eyeshadows and blushes, re-melt the orange soap, but I end up doing nothing. I also wasn't able to update most of my blogs. Grrrrr. I have to go back to work tonight. Anyway, I am so happy to receive another payment from Google Adsense. 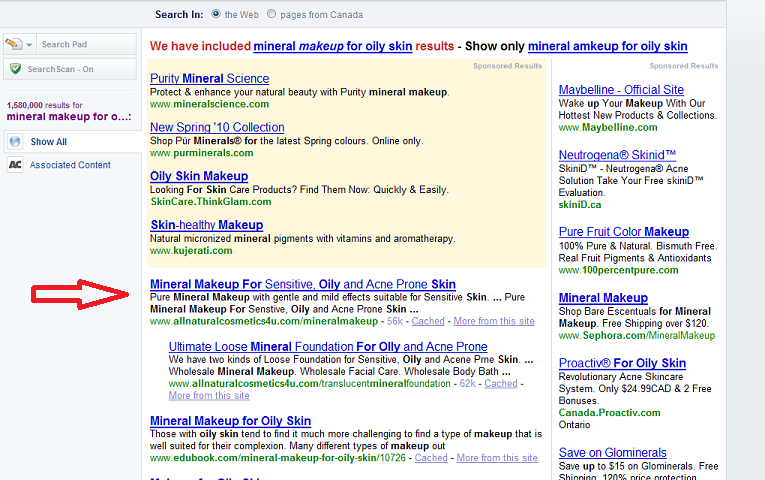 The clicks are coming mostly from my Natural Beauty Cosmetics Blog. 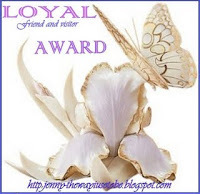 The contents of this blog are all about my beauty products where I get most of my sales referral. And at the same time, I am getting most of my Google Adsense clicks on my sidebar from this blog. Meaning, I am hitting 2birds in one bow. I simply put the Google Adsense code on the sidebar of all my blogs and blog about anything. Well of course, there are some secrets to get higher number of clicks so you can get paid earlier. And that is another journey that I learned from this making money online. Anyway, here is the copy of the direct deposit amount of my Google Adsense payment in my personal online shopping bank account. 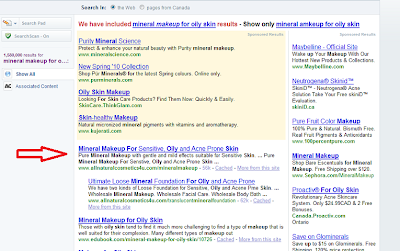 I was checking the position of my webstore in Yahoo Canada and I am so happy that my webstore are still on top position of organic search for the keywords that I am using. 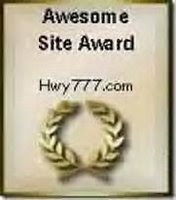 I used my keyword search software for each of my products. The following images show the position of my webstore in Yahoo Canada, for the keywords that a lot of people use all over the world. You can search it yourself if you have doubt. No wonder I have been receiving so many inquiries about my products. 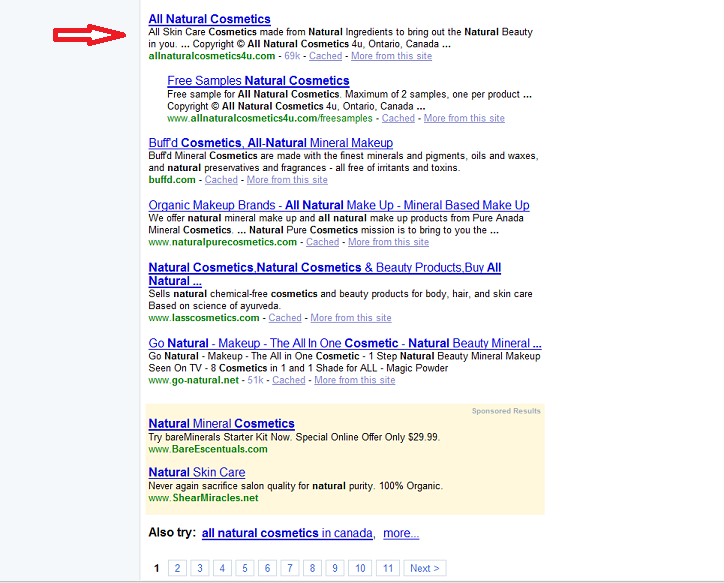 For Keywords "All Natural Cosmetics", my webstore is on the 4th place on first page. 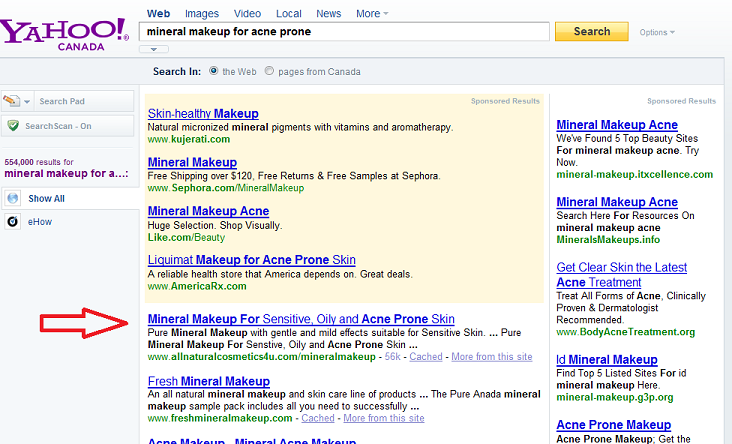 For the keywords " Mineral Makeup for Acne Prone", my webstore is in number 1 position of the first page. 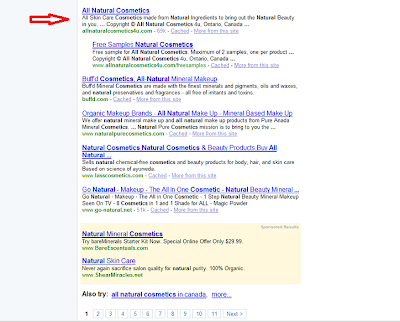 The yellow background are paid advertisements and the white are free organic positions.... FREE by using my knowledge in using the Basic Search Engine Optimization. It is not just simply building a website but beeing seen on major Search Engines is the biggest challenge, and I am so happy that everything that I have worked for are working effectively. So now my snoopers, don't laugh because I am not dreaming and these are NOT just my illusions. I know exactly what I am doing. So before you raise your eyebrows about everything that you are reading, think twice. I never open my mouth about this because not everyone will be happy about it. But you keep reading my life, so it's up to you to take it or leave. Be angry about the truth because this is the truth. These are only in Yahoo Canada. Remember there is Yahoo, Google and MSN for different countries. These mean my webstore is open for every people all over the world. Why do I blog? I will explain my blogging life to those who are constantly snooping on my life through this blog. This is my first public blog and through my public blogging, I learned that I can make money online in many different ways and one of which is through blogging. 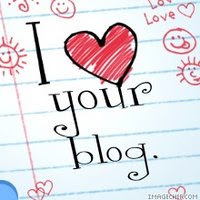 I have different types of blog. Most of my blogs have relevant content that targets specific WORD or keywords. Some advertisers want this type of blog to advertise their products because it targets specific audience which can give them high percentage of sales. Advertisers pay me through my sponsors when I do a review on their products or services. About 100 to 200 words promoting their products and services.....At the same time, through relevant content blog, I can make money through clicks on the advertisement that you can see on my sidebars. This is called Pay Per Click. This blog is an online diary type of blog where the topic can be anything. It doesn't contain specific content and doesn't target specific audience. So I dont receive that much clicks on the advertisement on the sidebar. However, some advertisers want to advertise on this type of blog because the article is more personal and some people find it more realistic about what they read about certain products or services. Advertisers pay me through my sponsors when I do a review on their products or services. About 100 to 200 words promoting their products and services. 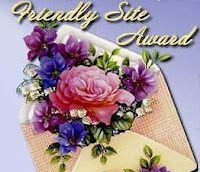 So if you are visiting this blog and wonder why I have to spend time blogging my personal thought on this blog and on my other blog, it is because some advertiser prefer this type of blog. And at the same time, blogging my personal thoughts is a hobby, for your information. Because BLOGGING IS A HOBBY!! Sharing my thoughts on how to make money online is not to intimidate anyone but to inspire people who are looking for ways to make extra income. Now if you think it is intimidating to read my blog about how I make money online, you always have the choice to get lost and find something more valuable to spend your time with. Because you are not the only people who are reading this blog. As you can see on the statistic widget, I have numbers of reader for this blog. Not a lot, but there are other readers. 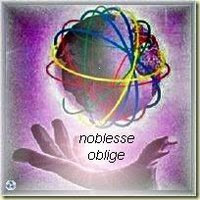 I just took one task yesterday and just one task today from one of my sponsors. I still don't have any order so I am taking the opportunity to grab some tasks. I still have 4 more tasks from this sponsor, and I have so many sponsors that I have not visited for quite some time now. I have been receiving some task notifications on my email from different sponsors, but I don't have the time to login and check out all the given tasks. I actually have so many expired tasks but what can I do? I only have about 2 to 3 hours a day to stay infront of my computer. My online business is my priority when I am infront of my computer. It is always important, to answer all email inquiries about my products. And if I have some orders, I have to process and ship it as early as I can. These are just my priorities for my online activities. It is always my Family next to God, are my first priority in life. So after this I will do few bloghopping and do few laundry and go to bed. Wake up and go to my full-time night job for my family. I don't know if I will believe it or not, when she said to me that a lot of people hate me at work. I was thinking, maybe she was trying to turn the issue to something else. But on the otherhand, if this is true then "I DONT CARE"!!! If I am angry with someone, I dont even look or talk to the person. But when I said it's bygone, my anger is over. And when I start talking to the person, that means my anger is gone. When somebody says "SORRY", who am I to say "NO"... So when I said "IT'S OKEY" then everything is okey. Damage may stay, but the anger was already gone. I may not like to be with the person anymore, but at work, I have to talk to whoever am I working with. So whoever smile at me, talk to me, laugh with me and at the back, they hated me?... Well it's not my problem anymore!!! I have not done anything bad to anyone. My mind and heart is clear that I don't hate anyone. So if what she have said about a lot of people hate me, I say because they have psychological problems... hehehhehehe. IF THEY HATE ME, wellllllll, IIIIII DDDDDDDONT CCCCCCCCCARE!!!! I am not bothered about anyone's anger or hatred... SUFFER!!!!! Yayyy, I have no order today so I am taking this opportunity to do some household chores and go to my bed early. I will do some bloghopping after this and hang some clothes then I will go to bed. I am happier now that everything was out of my chest. I have released some tension that I have been denying for so long now. This is what happen when your judgement is not based on God's word. I am not saying that I never make any mistake because most of my judgement fails too. But I always pray to God to keep me on the right path. She have been stubbing me behind my back that I have been denying to myself many times. I can't open my mouth because I have no proof that what I feel is right. It was just my instinct that keeps resounding into my head without any clear directions on where to go and what do to to stop this deceitful doings. My silence is not doing any good. 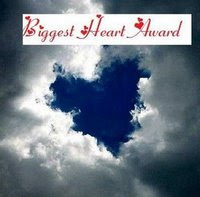 I just followed my heart and keep praying, that what I feel that I should do, is the right thing to do. I have to talk because it has to stop. I never want to hurt her, but she pushes me to do something to hurt her feelings. I have to let her know that I can never live in silence with her evil mouth. I need to end this bitter thoughts about her. I will continue to pray that someday, I can find peace and full forgiveness in my heart about everything that she have done. But I can never be with her company ever again. I am just doing few updates and waiting for the time to pick up the order to my supplier's warehouse and ship it to my customer. After this update, I will make this one small order so I can ship it together. 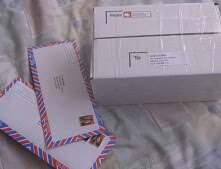 I will also mail the insurance claim form together with the two orders that I will ship today. I also need to deposit one check today and pay some bills. There is a fraud on my bank account and I hope that it will be resolved by Friday. Me and hubby's payroll check will go directly on our other bank. Grrrrr!! As usual, I am awake in the middle of the night during the weekend. I am glad that I have one small order after reverting back the website template of my webstore. The nice and neat template design of my webstore is back. I hope to continue receiving more orders this coming week. I will place the order tomorrow so I can pick up the product to my supplier on Monday morning and ship it to my customer after. I am too lazy to do anything and I have been watching tv for more than 3 hours now. But I will start working after updating this blog and do the laundry. I will see if I can start making batches of Orange Soap using the wooden soap mold with the wavy cutter. Me and hubby will also go to the accounting firm to file the income tax today. So I have to make sure that I have done everything before we leave the house. I was wondering why for 3 days I have no orders. Then I realized that my website template looks like a mess when using Internet Explorer browser. But when using Mozilla Firefox Browser everything looks fine. My webstore provider have been doing a lot of de-bugging on their system since they upgraded their system for better navigation of each of their customer's website. It's actually good, however it might take some time until this upgrade will be perfect for every merchants. Presentable Website Template is very important to make someone buy from your website, because this creates a good impression of your products and services. But since my webstore looks like a mess right now, I shouldn't expect any good sales until this error have been fixed by my webstore provider. I answered about 15 email inquiries about my products. Geeee!! I am getting busier than ever, but that is okey. This is just a part of what I have started, and I know that I will receive more in the near future. Anyway, I went to work early last night and brought my car with me, because I have to meet my customer in Jane Finch Mall, to give her order. I am so happy that she like the quality of my products. I have no order today. I sometimes can breath smoothly when I don't see any order notification on my email because this means, that I can do a lot of things at home. But then sad because I have no additonal money on my paypal...lols.. I took two tasks from my blog sponsors to add on my budget. 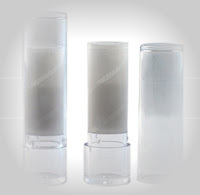 I will be waiting for more sales for this month before I order 3 more lipstick molds. I am waiting for my customer's response to my email to know when will she pick up her order. I have no order to process today so I will take this opportunity to do my blogging routine and perhaps take some task from my sponsors. I will also do some household chores like the laundry. And If I still have the time, I will fill up the insurance claim form. I was looking at the traffic of my webstore and the numbers are getting higher each month. The number of inquiries and subscriptions are increasing too. Wow, I can really feel the success!!! More work, patience and a lot of prayers and I will surely get there. To all who have been following my blog from my real world, just be happy for me. There is nothing wrong with being happy for someone's happiness. This one big order from one of my customer who own a beauty salon near our place is ready for pick up. It was supposed to be ready yesterday after I pick up some ingredients from my supplier, but I was tired. It was easy to prepare because it has no label on it. I just put a simple label to distinguish each product from each other. I am so happy with the progress of my business and I really hope the it will continue to grow. I know that it will take more years before my business can fully support me and my family, specially that I am only doing this on a part-time basis. As far as I can see, the progress have been improving each month and I am getting busier. It's hard because I have another full-time night job. I haven't done any big marketing strategy. I sometimes can't believe that everyday, I am receiving numbers of inquiries about my products, and about 2 to 4 orders a week. 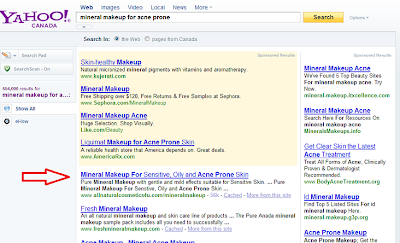 All this visitors are coming directly from organic search from the Search Engines particularly YAHOO. All for free!! 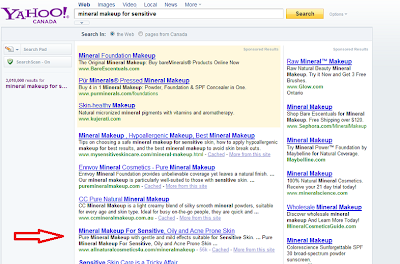 Where and how did I get visitors from the search engines for free? I simply apply my basic knowledge in Search Engine Optimization. Using the right keywords and keywords phrases. Along with a unique and eye catching images of my products. I am also making sure that I provide good quality products, so customers will keep coming back for more. This order that I just process is from my customer who ordered that sample last week. She came back for more!! 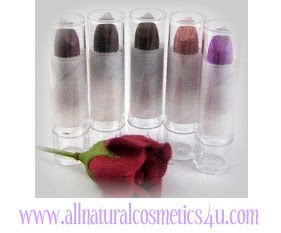 I am done creating the 5 Mineral Lipsticks and I have already posted on most of my blogs. 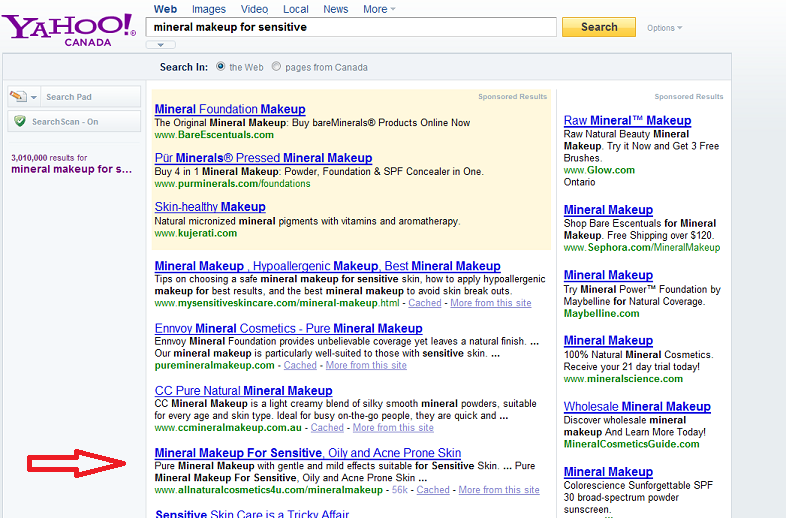 I am so happy the I instantly receive an order for this Mineral Lipstick when I open my email a while ago. I was busy chatting wiht my neice and nephew today and I feel bad that I wasn't there for them. Their parents are just too irresponible. I send him the money last week and he only received it now. I wish I can send him more but my budget is tight right now. he has been taking care of my mom and I am so thankful that they are there to take of my mother after her surgery. I feel a lot better now. I am just waiting for the time and I will leave in a bit to pick up my order. I was so tired yesterday. I didn't sleep the whole day and I ate too much. I attended the baptismal which was held in a Japanese Restaurant. The foods were good so I ate too much. I went home and did few things for my business while waiting for the time to go to the covenant meeting. I had so much fun at the covenant and the foods were all good too, so I ended up over eating again. There will be a lot of activities that I would like to attend with them. And I hope I can find the energy to attend to all the activities. I already did the 3 lipstick color and on my way for 2 more. It's taking time to do more than 1 color because I only have one lipstick mold. So since I just received this one big order, I can now order for another 3 lipstick mold. I am glad to see and feel that the people that I thought were trying to convey some involvement reactions to some situation, has given some gestures that "THEY DON'T CARE AND THEY ARE NOT INVOLVED". And that is a good and the right thing to do because they don't really know the real reason behind. As usual, I am awake very early in the morning. I have so many things to do at home so I started it by doing the laundry WHILE doing some blog update. I have one big order from my customer who live near our house. I need to order some of the products from my supplier so I might just place the order tomorrow morning and pick it up on Monday. This is the customer who picked her sample order last week. And I am so happy that she came back to order for more because she simply love my products. She is asking not to put any label because she will put her business label on each products, instead. This is called PRIVATE LABELLING. She own a beauty salon and she will sell my products under her business name. Now do you understand how I run my business? This is just a business idea of a smart and intelligent person LIKE ME!!! hahahhahaha!!! Creating a website is just one way, but how your website can be seen by people who are looking for the kind of products that you have, can only be done by people who have the capacity to understand that IT CAN BE DONE and IT CANNOT BE JUST AN ILLUSION!!! How and where do you think I get customers in and out of Canada? I work hard for it and I didn't have to go to any school or institute to learn all of these. I will not quit my full-time job yet... Can't you see? While I was sleeping or I am at work, I am still receiving orders. I don't have to hire anyone to get order from people all over the world. Because my store is open 24 hours a day, seven days a week and everyone can order anytime they want. PLUS, I will not process the order unless the payment is confirmed through my paypal account!!!! Do I have to open my mouth to sell my products? NOOOOOO, it's just some simple articles here and there with the help of my cumputer and lots of PRAYERS. I AM HAPPY, I AM HAPPY, I AM HAPPY, I AM HAPPY, I AM HAPPY, I AM HAPPY, I AM HAPPY, I AM HAPPY, I AM HAPPY, I AM HAPPY, I AM HAPPY, I AM HAPPY, I AM HAPPY, I AM HAPPY, I AM HAPPY, ... Visit my webstore All Natural Cosmetics 4u to learn more about my products. As much as I wanted to ignore the people who are secretly snooping on my life through my blog, but it's getting pretty obvious. Well, I can't stop anyone from visitng my blogs since they are puclicly published. The only thing that is quite annoying, is when you guys read my blog and raise your eyebrow to learn about what is happening in my thoughts particularly how I run my business. However, as a blogger, I find it very inspiring to keep updating this blog and my other blog because I know some people are waiting what am I going to write for the day. Now it's your choice to deal with it. Today, I will do few bloghopping after updating this blog, then process one small order. Then after having lunch with my kids, I will pick up my order to my supplier's warehouse. I need to create at least 5 lipstick colors this weekend. I used to be very very excited to make small sample orders and tried to ship it on the same day. But since I started receiving bigger orders, I feel lazy making small or sample orders. I know for a fact that this big orders that I have been receiving, came from those small orders. They like my products so they came back to order for more. So even if I am not very excitied to process this one small sample order, I have to process it and ship it the same way I did last year for sample orders. Because this small order might come back to order for more or even refer my products to more people, just like what my other regular customer did. I never open my mouth about how I run my life and the happiness I am having with regards to my business. because I am trying to avoid intimidating some jealous and envious people who just can't be happy for the happiness of other people. I am happy... so happy with the progresss of my business, and I want to blog about it because this is my way to express my emotions. NOW If you can't stand what you are reading, you have the choice to GET LOST and you know who you are!!! But you keep coming back to read for more. That is really freaky. I know that some people are waiting for the update of this blog and my other blog. This people are making me inspired to regularly update my blogs. I find it very exciting to know that some people are freakingly snooping on my life by regularly visiting my blogs. So to satisfy their paranoia, here goes my thought for today. I received one order today and I will process and ship it tomorrow because I want to go to bed early today. But before I got to bed, I will place an order for the lipstick tube and pick it up tomorrow on my supplier's warehouse. I need to create at least 5 lipstick colors in respond to some customers demands. I will understand if you are raising your eyebrows now because you don't know anything about how to run this type of business. Well sorry for you!!! I am targeting different people all over the world for personal or business use. If you can't get it then, GET LOST!!! I will also buy some more products for my kids love for aromatherapy products like the bath fizzy and add it on my webstore to sell. I dont think the closing date of our house will go through tomorrow since there is still no clear message from my lawyer and sales agent yet. So I might cancel my one week vacation again at work, and just take about 3 days vacation instead, to spend time with my kids during their one week spring break vacation. During my short vacation, I will be working on some of the pages of my webstore. I will also create new images for my Mineral Makeup particularly the Foundations and eyeshadows. I have been receiving some complains for not being able to view the colors properly on the internet. I will also spend some of my time to make about 2 to 3 more soaps using the wooden soap mold, to post on my webstore. I need some break and spend time with my love for my business. I am so happy that I have been receiving so many inquiries about my products from different part of the world. I sometimes feel bad whenever I received some inquiries from a different language. I have no choice but to answer them in English to say "I dont understand the language that you are using", ,and just hope that they will understand my respond to their email. There is one interesting website that I found on my search for a some kind of an online dictionary. Translia.com is a leading online translation. They have been developing different state of an art in translation technology. They have built the world's largest professional translators network, and have many satisfied clients for any languages and on any subjects. Translia is also a workplace for professional translators. They provide a friendly community for linguistic professionals to learn, help, and extend. You can be a Translia member and translate different languages in a productive and fun ways. I can see some burning eyes and I wish I can stop myself from feeling the burn from their eyes. I was tired that I have to stop. But then one day I woke up, why stop while I can make it burn more. Who cares is their eyes will burn for some stupid thoughts. New burning eyes was added with a stare that can made me tired again. But I am always been a fighter. And I will fight until they lost their sight. Clear mind and happy heart is whats making me strong. It's pretty tiring after all this years. Questions always arises in my thought.. WHY? I just want peace. But it seems so hard to get with this world that I am in. There will always be some jealousy and envious thoughts with every little thing. I am growing old with this kind of world, and I should make myself feel that it's going to be always part of my daily living. Get used to it ESTER because it's always going to be like that, not matter what. I already purchased some equipment that I will use in making soaps using the wooden soap mold. I am so excited to make batches of soaps using the wooden soap mold. I had this wooden soap mold for more than one week now and I still have not tried using it. My life is so busy that I don't have time to do what I have been so excited to do. I also received three emails asking when will I post my lipsticks. I feel so happy that some people are interested to buy products that I am making even if I am not yet ready to sell it. I only have one lipstick mold but I will try my very best to create at least 4 lipsticks colors for those who have been waiting for it. My mind is so pre-occupied with so many worthy things for self-satisfaction. I love what I am doing. It made me feel complete. I wonder why some people like them will have the time to snoop and waste time about others people's life. I really think it is important to keep your customer informed that you are constantly working ang adding new line of products for everyone. There are so many things that I can create and add to offer each week. I find it really a good marketing strategy to send email for product update. It constantly remind customers their interest in my product. This is the reason why I really don't like to work overtime on my full-time job. I am completely aware that I will make more money working overtime but, money is not all the answer for happiness and self-satisfaction. It's all about having time to do something that you really love. Making new line of products and continously improving my website is what I really love to do. I find an innner satisfaction whenever I receive good response from people who have tried my products. I just love playing the design of my website and continously make it look neat and eyecatching for everyone. 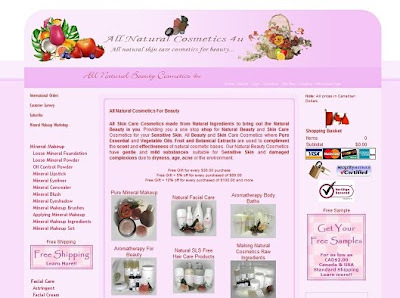 Visit my webstore All Natural Cosmetics 4u to learn more about my products. Do you remember that day when you and my friend keep talking behind my back like JUDAS?!!! Do you remember how you and my friend treated me? Do you think I don't know why? Do you think I don't know how Evil you are? Because you are the only person whom I mentioned something about being STRESS!!! How stressful life can be as a working housewife? So I know why she acted that way. And you know deep in your heart that there is no bad meaning for that. But you are such an intrigator to push someone's mind for anger. Do you think I am stupid to let everything fall into your hand, you Traitor!!! Because I know the kind of evil like you. If you think you know how to spin their heads with your evil doings, well I am not!!! I am watching you eversince. She probably been suffering from her conscience for letting you stub me on my back. Now she is trap with your evil mind! But did you know, that I have forgiven both of you? There were times that I have included you on my prayers. But you are such a child of a devil to fight back my good intentions of peace for you. God knows, I never fight back your evil heart. I never open my mouth to anyone to ruin you. Because you know why? I am too precious to go down to your level of evil heart. Now you are getting what you want!!! I was wondering why suddenly, you become so nice to me after those bad gestures of insecurity that you have been showing me. Ahhhhh, .... it's because of her!!!! You're looking for someone to take on your side. Do you know where she gets her strenght? Tell me about it!!!! GROW UP!!! SHUT YOUR MOUTH!!! Clean up your mind and your heart. You need HELP!! 2 Corinthians 11:14 "And no wonder, for even Satan disguises himself as an angel of light. " The statistics of the traffic of my other blog consistenly shows about 2 to 3 people from Toronto keeps visiting my blog at the time between 10 to 12 noon. I may not know exactly the IP address but from the way everything goes, I know who they are. I just smile for her! She is so desperate!! And from following her evil mouth, they are being desperate too!!!!.. Well then goodluck!! Muaahhh!! Enjoy reading my thoughts.